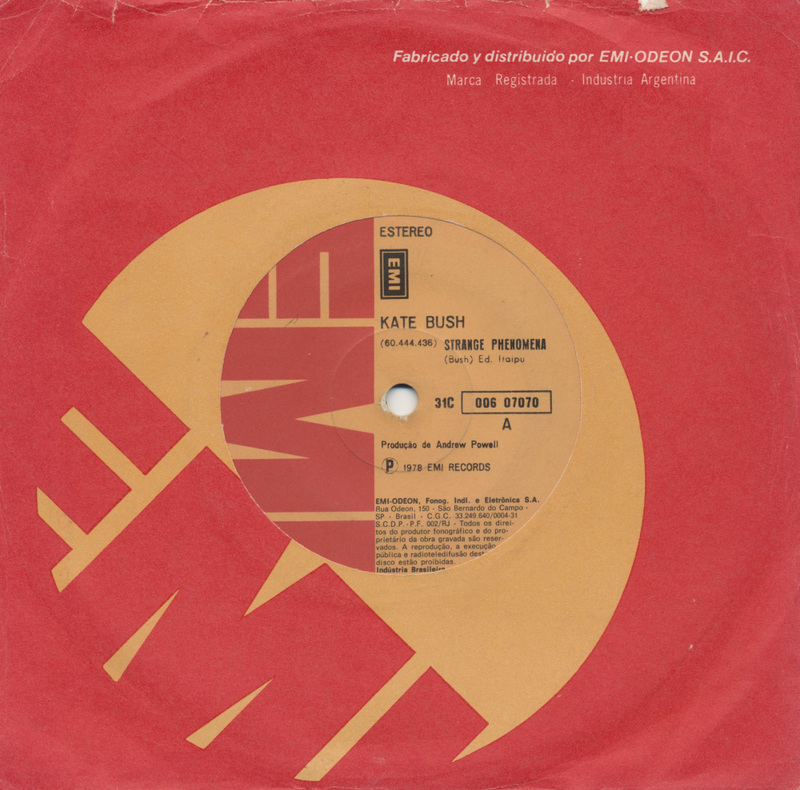 I guess I didn't really need this 7" single by Kate Bush, but the fact that 'Strange phenomena' was never released as a single in other territories and the fact that this single came all the way from Argentina made it a bit of an irresistable purchase at last year's record fair in Utrecht. The fact that the EMI record company sleeve is in pretty good shape was another good argument to lose money for. 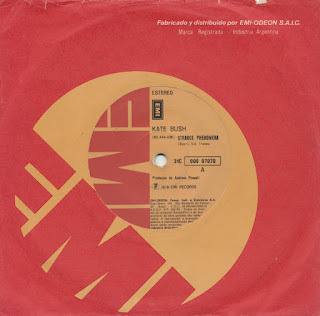 This single plays at 33rpm, which I guess is normal in South America - because I also have a few Brazilian singles (from other artists, mind you) that are 33rpm too. The B-side of this single is 'Wow', which of course was a single for Kate in other parts of the world.